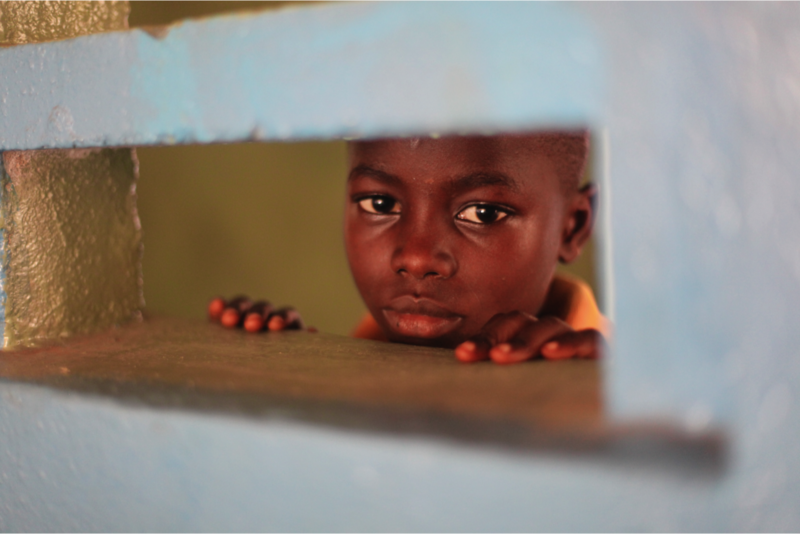 Mohamed stares into one of the classrooms at The National School for the Deaf in Freetown. 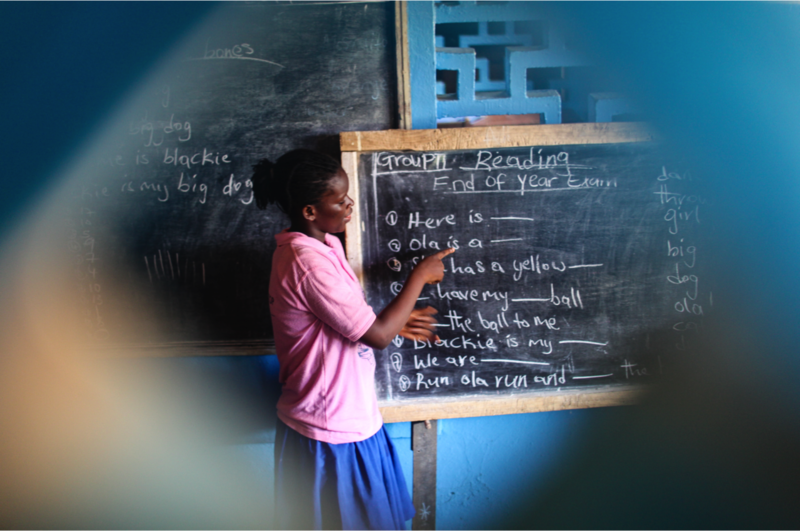 A student shows her skills at the blackboard. 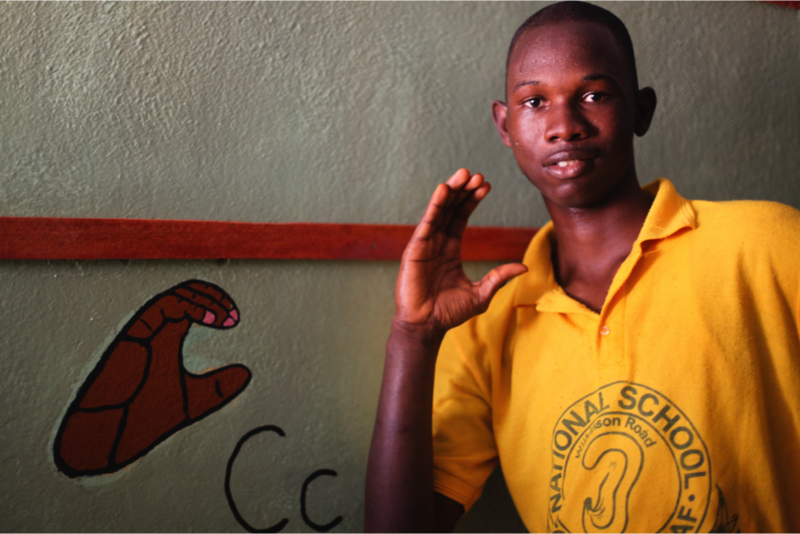 One of the older students at the school shows the sign for the letter ‘C’. Visual cues are important in schools working with children with hearing impairment. 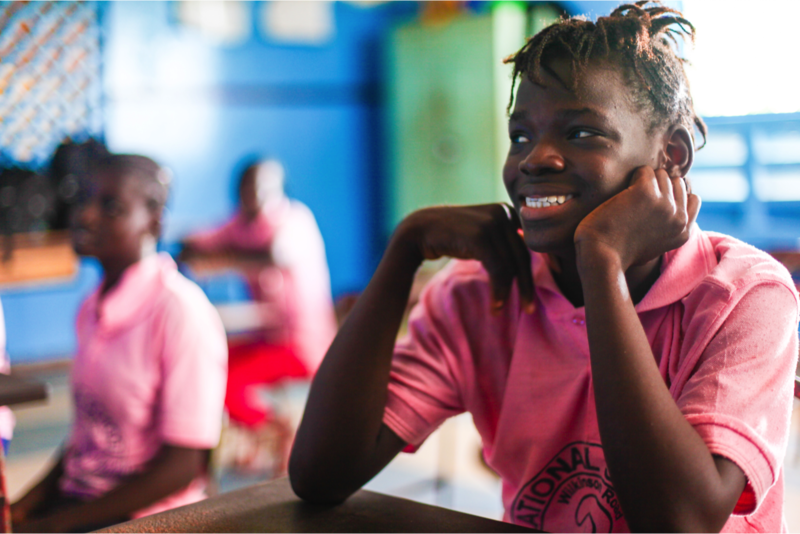 Girls together in their classroom. Helping each other learn. 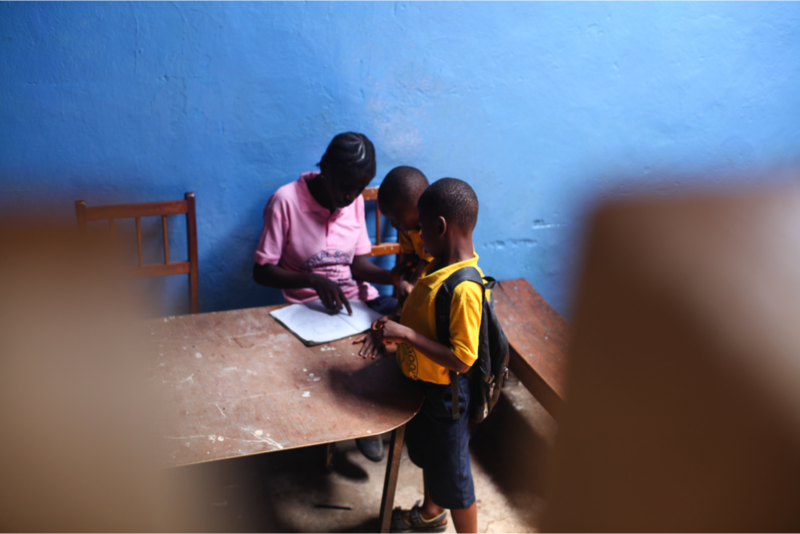 An older student sits down with some younger pupils helping them read.